Discussion in 'Introduce Yourself' started by J-B, Oct 29, 2018. My name is Jack and I'm new here. I have been a Christian for about 8 years which started when I lived in the U.K. I now live in the U.S. but regularly visit family back in the U.K. I hope to see you all around the forums and get you know you. Glad you decided to join us Jack! Hello and welcome to CF! We are glad that you've joined us. Please let us know if you need any help navigating or have any questions. Glad to have you here my friend. May the good Lord bless you . Welcome to CF Jack! Glad you're here. Thanks for your kind welcome. I do like some P&W music so I'll be sure to check that out. Whilst we're on music, I love country music! Thank you for your welcome. I will we sure to send you a message if I need some assistance. Thanks. It's great to be here too. May God bless you too! Thank you. I'm pleased to be here. Well we have a thread on Country P&W music in there too. 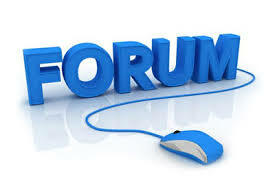 enjoy and be bless in this forums. Have a blessed day! Great username! Thanks for the welcome.